The majority of group bookings are for a minimum of 3 days upwards. For example, Friday evening to Sunday afternoon. But all proposals are considered. 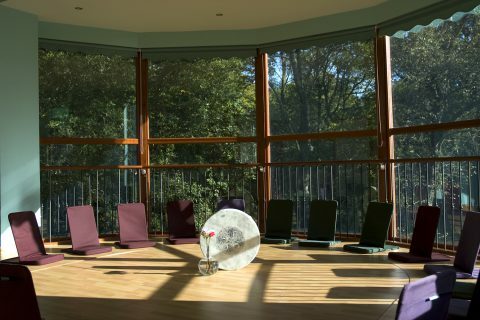 Lendrick Lodge Retreat venue hire prices for groups: We can accommodate groups from 16 – 50 people easily in our large Seminar space called the Sundoor Room. Lendrick Lodge Sundoor Room Hire £100 for each day your group is here. Our other workshop space, the River Retreat, comfortably accommodates 6 – 18 people. 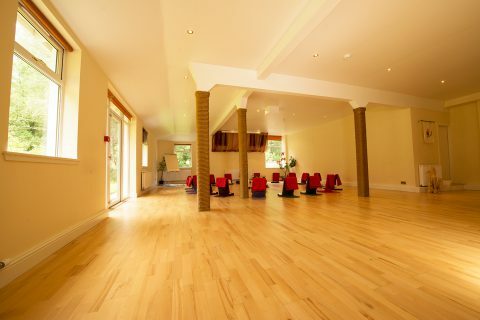 River Retreat Room Hire £85 for each day your group is here. Prices per person for food and accommodation in standard rooms: Prices per person for food and accommodation £60 per day (which breaks down into: bed and breakfast £40, lunch £10, dinner £10) . For example, if someone’s first meal was Friday evening dinner and their last meal was Sunday lunch, then their cost would be £120 per person. A range of other rooms are available at a small supplement.